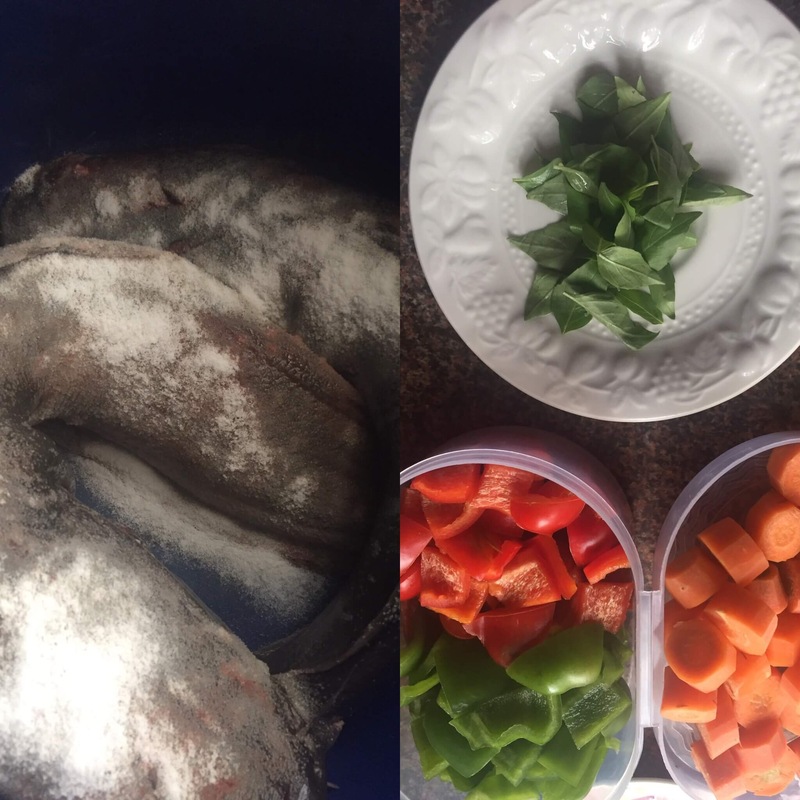 Doing the happy dance first….I had a one-on-one session with a professional chef! 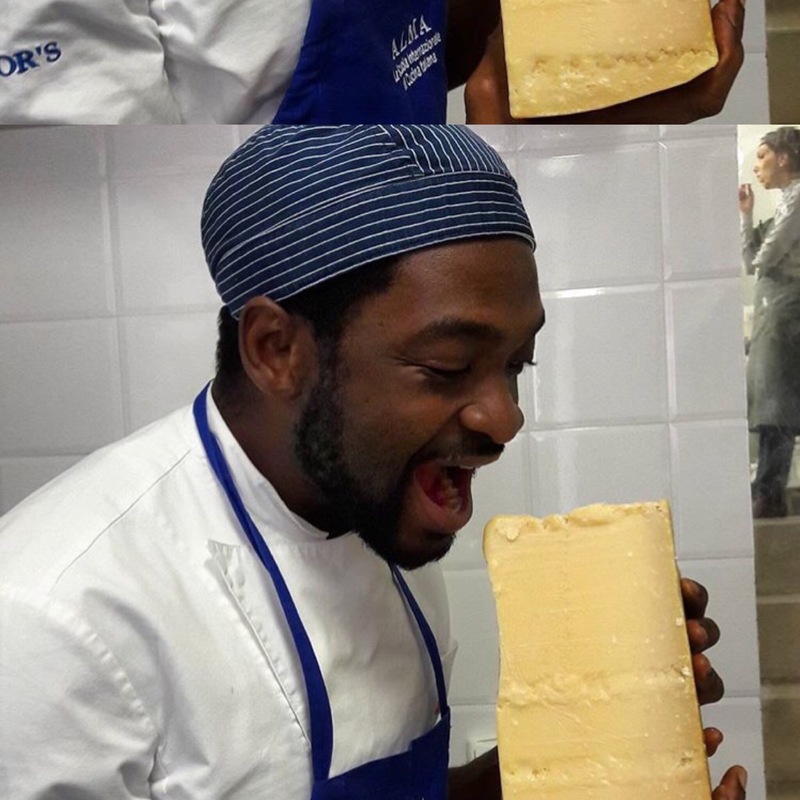 Being the culinary enthusiast that I am, Chef Samuel Ode Obla (Instagram: @chefsamuelodeobla) is that friend I want to be like when I grow up *chuckles* He discovered his love for food early enough & knew what he wanted to do with it which I believe is inspiring. So, as soon as I put out a post on the blog , I sent him a text to check it out but he was unavailable to do so at that time and then we agreed to meet up the next day. 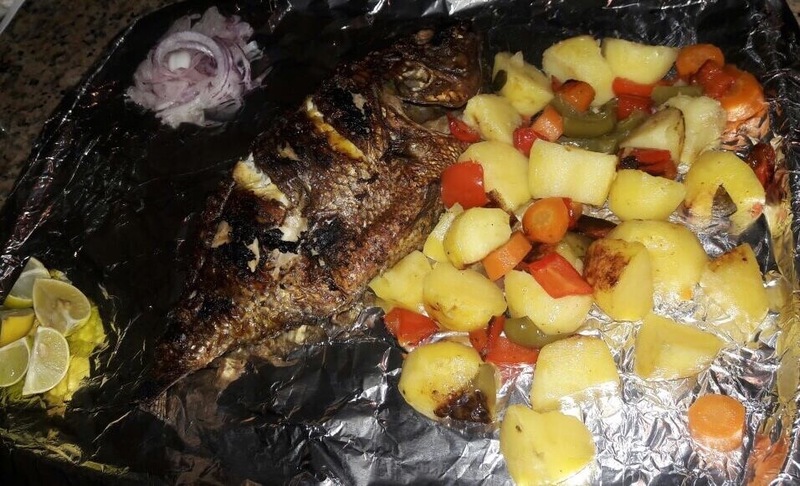 This was a sunday, I got to his place at about 5pm with my laptop hoping to show him the blog, get feedback and head back home but nooo….Chef Samuel was making a grill fire, he was about to host a few friends….still unavailable to check it out. 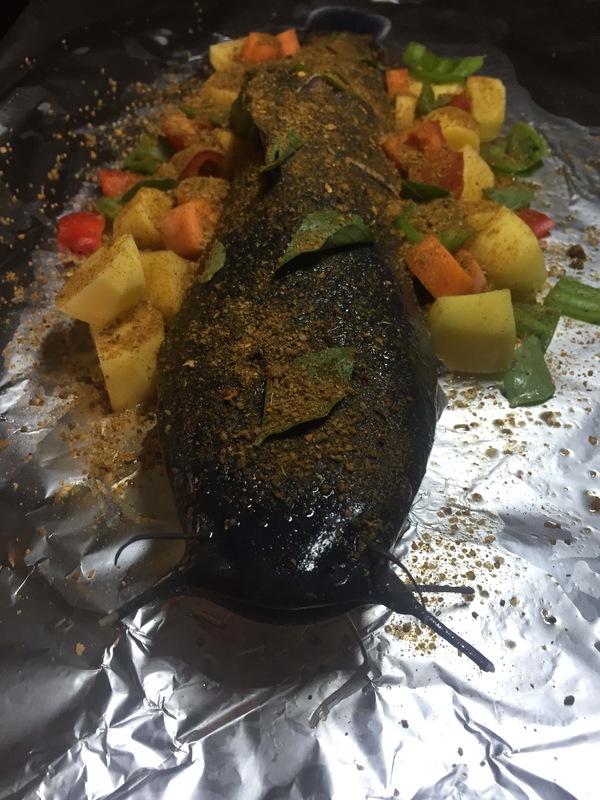 I followed him into the kitchen, explained what I was doing & asked that I may feature him soon then he asked ‘so why are you not taking shots of this now?’ I looked around and realized that he was prepping for a fish grill fest….excited, I took out my phone & switched into photography mode. Usually, Catfish is at the bottom of my list when it comes to fish types because of its slimy nature but after watching Chef Sam drench these bad boys in salt & scrub all the slime off for about 20mins, it became quite appealing. He explained that it is a fresh water fish so instead of hitting their heads to kill them like we watch market women do, you could just have salt do the magic. 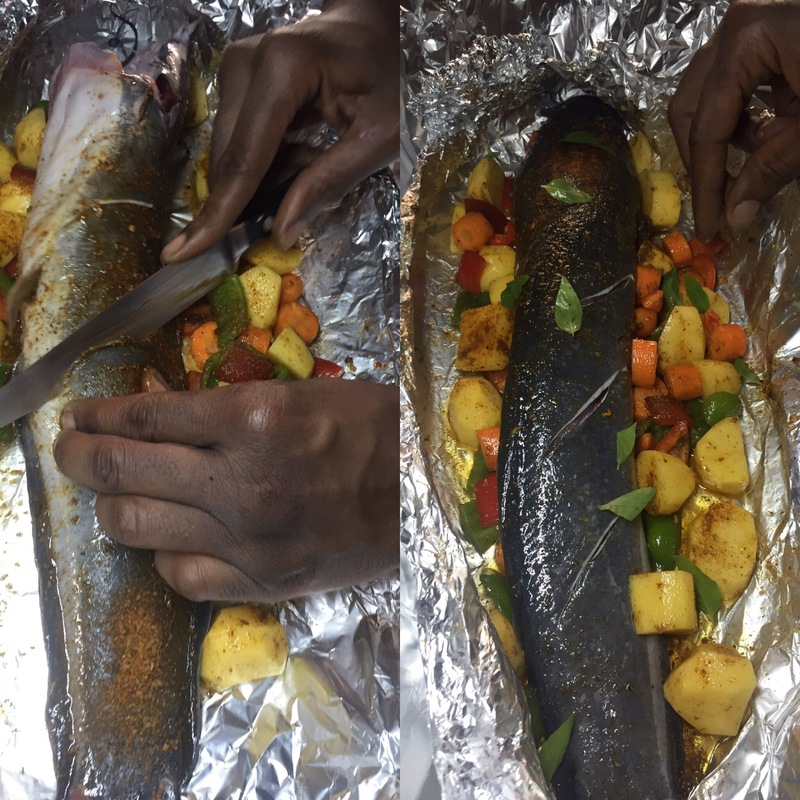 Next, he laid out 3 layers of foil paper, scored the fish on both sides with a knife & dressed with oil, carrots, bell peppers, potato chunks, curry leaves & seasoning. 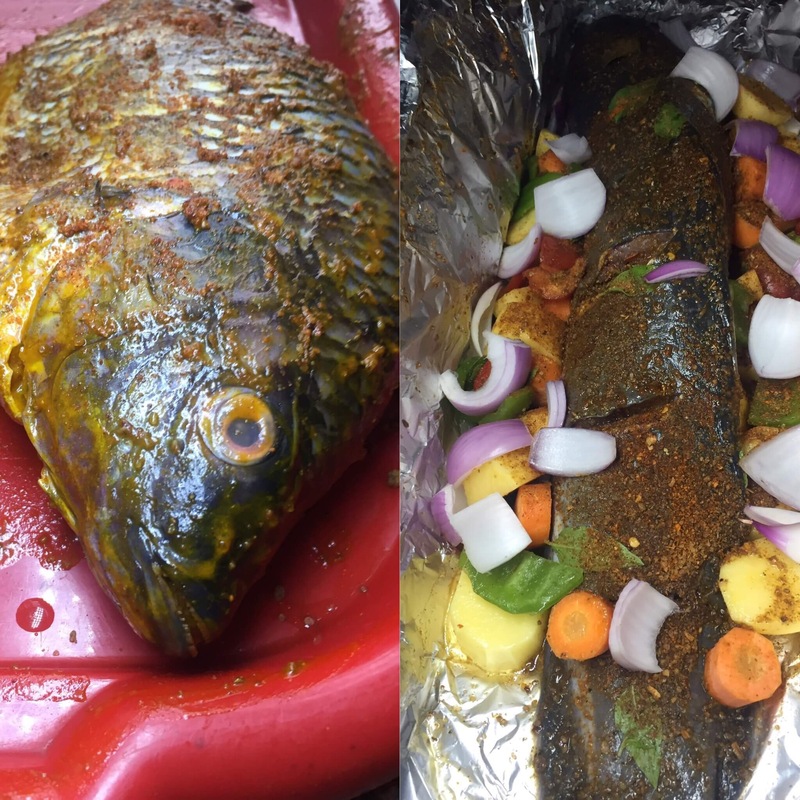 All the while dancing to songs from his phone (I particularly remember watching his many dance styles to Mr Eazi’s hollup & yes he is a good dancer, lol), he got the catfish wrapped up & took out another fish type, tilapia…dried with a towel to take out excess moisture & dressed in two ways, one with palm oil & seasoning, the other with vegetable oil & seasoning. We thought we were ready to hit the grill then I found chunks of onion hiding behind his very cute mortar & pestle (I should have taken a picture *sigh*)….the catfish needed that onion flavor to be real bad boys so they had to be disturbed, the foil was opened & the onion chunks tossed in. There’s a sad part to this story….wait for it…. I did not get to eat any of this! You know you owe me, Chef Sam. This is where I got to see his meticulous side, the friends he was hosting had just left their houses, he was timing them to know when exactly to start grilling but I had to leave so that was the end of my experience which I was very grateful for, we said our goodbyes & he promised to take a picture of the finished work, here it is…. Hmmmm. Mouth watering. 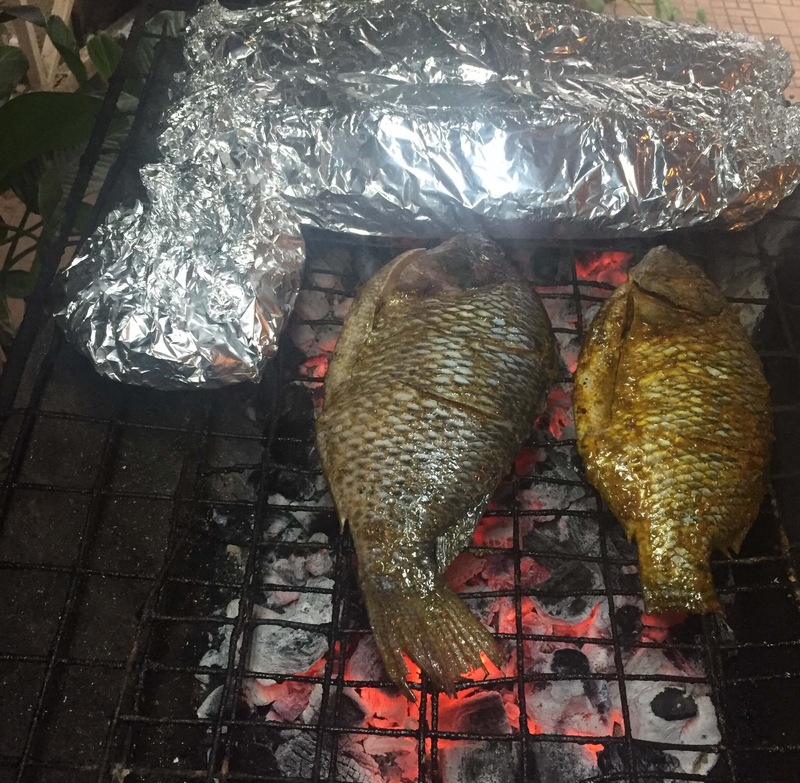 Fish is my thing anytime; I love to cook it but these grills…. I will be eating fish in my dream tonight. Can’t wait to eat it from your kitchen. I love love grilled fish 😍😍. Nice write up Ify! Yummmm…Can’t get enough of grilled fish.